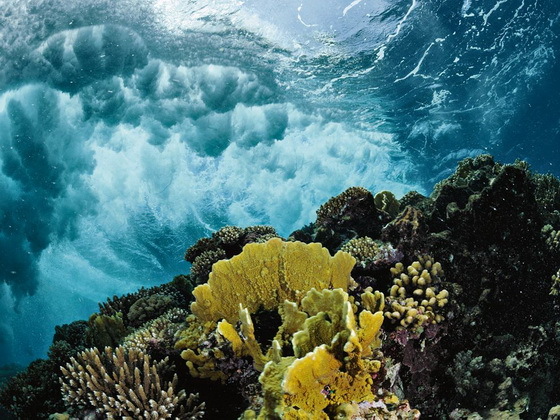 Coral reefs are the equivalent of underwater forests. 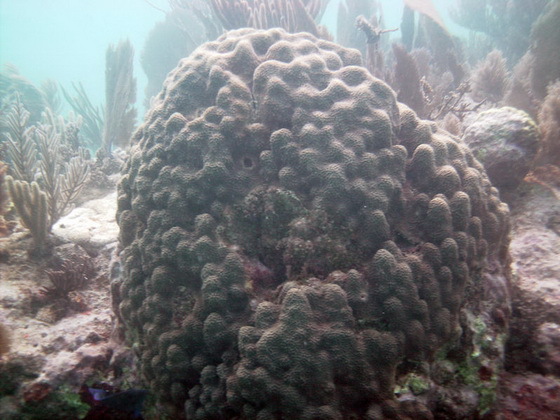 Twenty-five percent of all marine life lives in coral reefs. The combination of plant life and colorful marine fish make coral reefs vacation destinations among scuba divers. 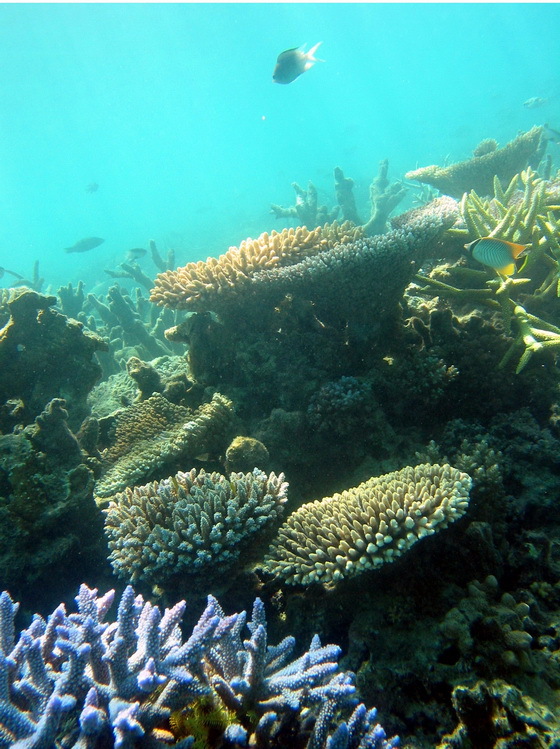 Larger coral reefs, such as the Great Barrier Reef, are actually made up of many smaller reefs that are connected into a single ecosystem. Reed Bank, Reed Tablemount, or Recto Bank is a large tablemount in the South China Sea. The Great Chagos bank is the second largest atoll in the world. It has a total area of more than 12,000 square kilometers. It is located in the Maldives. The Saya de Malha Banks in the Indian Ocean are the largest submerged banks in the world. This ridge connects the Seychelles and Mauritius islands along the Mascarene Plateau. Along with its coral reefs, the marine habitat includes feeding grounds for the green turtle and breeding grounds for blue whales. This is an atoll that is 50 miles long and has an area of 6,448 square kilometers. This atoll is claimed by the People's Republic of China, Taiwan and the Philippines. The Andros Barrier Reef in the Bahamas stretches more than 124 miles. The island sits along the edge of an oceanic trench known as the Tongue of the Ocean. This means the reef extends downwards along the trench to a depth of 6,000 feet instead of lying flat along the ocean floor. The reef system around the coast of Florida stretches from the Atlantic ocean around to the Gulf of Mexico near Key West. 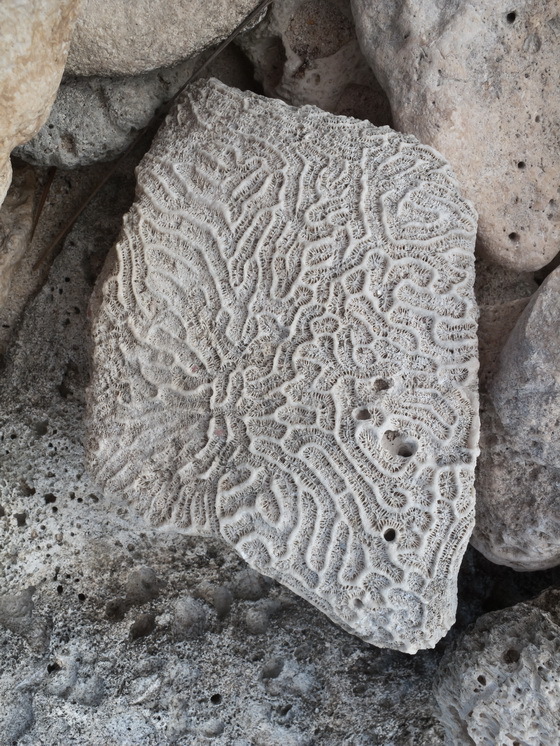 This reef system is thought to be about 7,000 years old. It is 322 kilometers long. The Mesoamerican Barrier Reef System stretches along the eastern coast of Central America. From its northern point off the Yucatan Peninsula in Mexico to the southern coast of Honduras, the reef reaches a total of 585 miles. 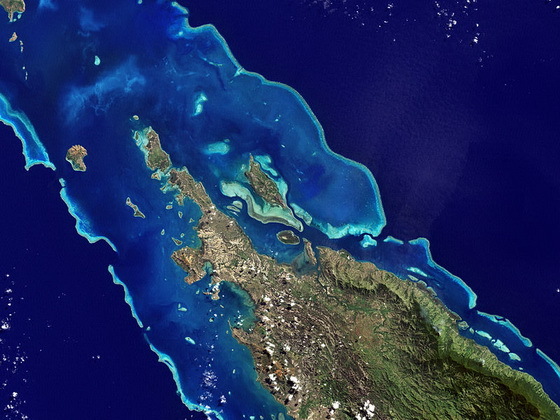 This coral reef is nearly 1,500 kilometers in length, near the former French colony of New Caledonia in the Pacific Ocean. Some parts of the reef have been damaged by nearby nickel mining, but the overall health of this reef is sound. 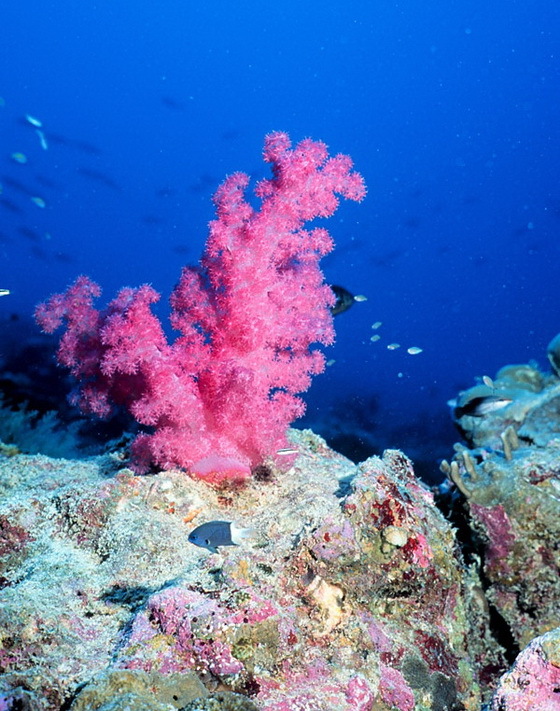 The Red Sea Coral Reef off the coasts of Egypt, Israel and Saudi Arabia is approximately 5,000 to 7,000 years old. 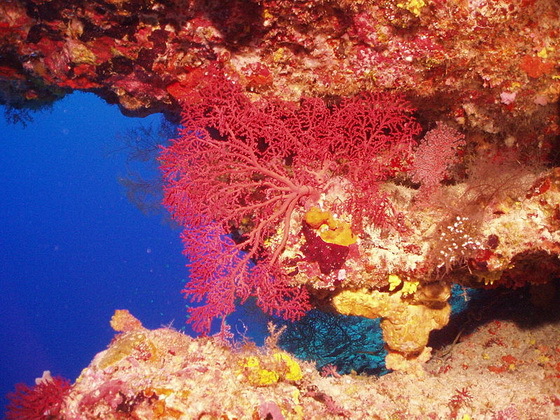 Ten percent of the 1,200 species found in this reef live only in this area. The Red Sea Coral Reef includes the Dahab Blue Hole, one of the most popular and dangerous dive sites in the world. 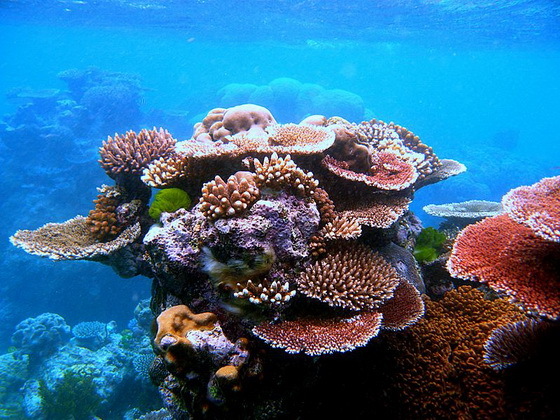 The largest, and most famous, coral reef is the Great Barrier Reef. It is more than 2,500 kilometers long, has an area of 348,000 square km and is home to more than 400 marine species. It is also one of Australia's most prominent tourist attractions, but it is under threat from pollution and over fishing.